I've used concept maps to describe strategies of the Tutor/Mentor Connection. Here's one that illustrates the concepts of "connected learning". Thanks to George Siemmens of elearninspace.org for pointing this out to me. I hope you're all enjoying your Thanksgiving feasts and get-togethers with friends and family. We all have much to be thankful for, yet there are many who need our help in this world. 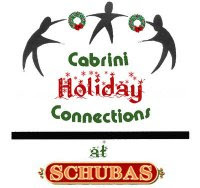 Thus, as you head toward the December holidays, I hope you'll review the work of Cabrini Connections and the Tutor/Mentor Connection and consider making a donation to support our continued work in 2009. One way is to use the PayPal Donation Form on our Cabrini Connections site. Another is to attend the benefit being held on December 12 at Shuba's Tavern in Chicago. The benefit will take place on Friday, December 12th) from 6-9pm at Schubas Tavern. Four groups will be playing: 2 indie rock bands (www.myspace.com/howlingpoppies, www.trakan.com), a hip-hop group (http://www.myspace.com/blackcollarfam) and one last special guest yet to be announced. Since the space and some drinks were donated, your $30 donation at the door will get you a complimentary drink, 4 great bands and the chance to connect with tons of interesting folks who are committed to helping at-risk youth succeed! PLEASE BRING FAMILY/FRIENDS AND HELP US SPREAD THE WORD! As we enter the final month of the year, we're finishing a 16th year of Cabrini Connections, Tutor/Mentor Connection. We've never had much cash to work with, and have always had one eye on the rent collector and bank balance, yet we've had help from hundreds of volunteers and an orchestra of donors. What you see on this blog, and our other web sites is the result of continuous effort to innovate new solutions to complex problems. It's all made possible because many people have helped us. That's my thanks to you on this day. I hope you'll help us keep this going. I've asked the staff at Cabrini Connections, Tutor/Mentor Connection to share ideas and reflections from last Friday's Tutor/Mentor Leadership and Networking Conference on their blogs. El Da'Sheon Nix, the administrative coordinator (or head coach)of the Cabrini Connections team, wrote this. Chris Warren, our 2008-09 Northwester University Public Interest Fellow, showed how the Tutor/Mentor Connection and the Conferences are intended to reduce the disconnect, or organizational silos, that separate many organizations working to help kids through school and into careers. His blog is here. I encourage this blogging because as staff and volunteers write articles that enplane the goals and strategies of an organization, they are building and strengthening their own understanding, making them more effective leaders. It also helps me know their level of understanding so I can coach them more effectively. Finally, the blogging is part of our network building and capacity building. Each writer has his/her own network of college, family, social, civic members who are more likely to read the blog articles of someone they know, than of someone they don't know. 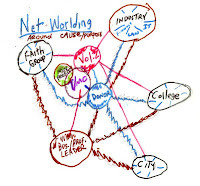 Thus, there are many entry points into the Tutor/Mentor Connection, which is illustrated by the graphics on the blog article Chris wrote. Others have also offered reflections from the conference. Here are a two places where you can read comments on the T/MC Ning site and the Technology for Humanity site. As others write in this forum, or on their own blogs, they, too, become network builders, connecting people they know with their own organization, and with the Tutor/Mentor Connection and hundreds of other organizations. Ultimately, the weight of this network-building and communications is intended to serve as advertising, to draw customers (volunteers, donors, parents, students) to the various organizations and tutor/mentor programs who are operating in different parts of Chicago and other cities. The Tutor/Mentor Leadership and Networking Conference was held in Chicago on Friday and about 110 people attended. Some were people I've known for a long time and others were attending for the first time. A couple have introduced themselves on our Ning.com page, and posted comments about the conference. I hope others will join them. I network in several forums on Ning.com and on Fireside Learning a discussion was started around a paper titled "It's All About Relationships" by Charles Leadbeater in Educational Leadership. As the leader of a volunteer-based tutor/mentor program I'm constantly searching for operating funds for myself, as well as hundreds of similar programs in Chicago. Yet I keep coming up against foundation demands that I tie my work to school curriculum, individualized tutoring, and test scores. A couple of years ago Robert Halpern, formerly from the Chapin Hall Center for Children at the University of Chicago, and now at the Erickson Institute, wrote a paper titled "The Big Lie" in which he described the challenge facing me and others in the non-school field. You fan find this on a page titled Reframing Expectations of Out of School Programs, which is on the Partnership for Afterschool Education web site. I feel that we're entering a time of great opportunity, and if we can connect more of the different organizations who operate non-school programs, and who understand the importance and value of connecting adults from beyond poverty with youth living in poverty, we can create new leadership, and new funding streams, that will support the on-going operations, and constant improvement of such programs in cities across the country. If you feel the same way, meet me on our http://tutormentorconnection.ning.com or introduce me to other forums where people are meeting to expand the resources available to support these programs. If you'd like to understand the goals and strategies of the Tutor/Mentor Connection better, just click into some of the links along the left side of this blog. Read the articles and follow the links. If you share these with friends, associates and business associates, you can help expand the network of leaders using these ideas and thus the number of youth connected in volunteer-based tutoring/mentoring programs. Today the Tutor/Mentor Connection is hosting its 30th Leadership and Networking Conference since May 1994. Why are we doing this? When we surveyed programs in spring 1994 more than 50% said they had "little or no contact" with peers. 70% said they wanted more. 90% said they would come to a conference. The first attracted 70 people and that's when we published our first Directory listing tutor/mentor programs in Chicago. The reception was so great that we did the conference again in November 1994 and 200 people attended. We've been doing this every six months since then. The purpose is not just networking. It is public awareness. The conference is part of an advertising campaign aimed at drawing volunteers and operating dollars to all tutor/mentor programs, based on the believe that connecting kids with inner city neighborhoods with adults who can model jobs and careers and help build aspirations is a good thing. Most people can't be here today for this conference. Thus we hope you'll join us on line. Connect through blogs,or online forums. We want to learn from you and we want to help you learn from the rest of us. Together we need to find ways to attract more consistent donor dollars, build leadership staff who can work with kids, volunteers, schools, and multiple donor demands, and find ways to link our programs to the workforce development goals of businesses and hospitals. I'm off to the conference now. I hope to connect with you soon. Why support volunteer-based tutor/mentor programs? 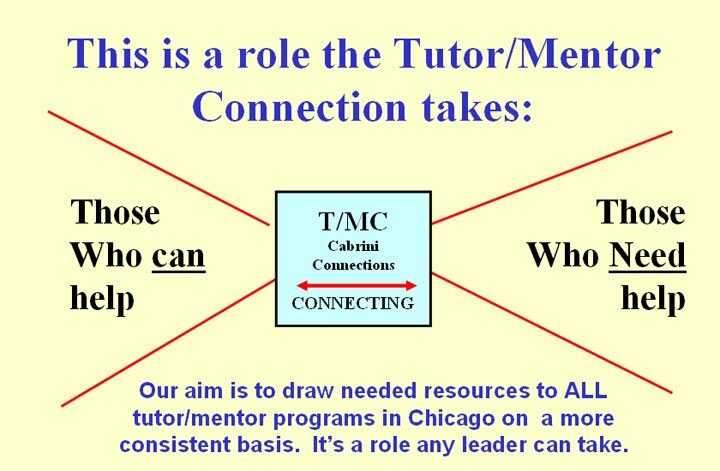 Why Participate in this week's Tutor/Mentor Leadership and Networking Conference in Chicago or network with Tutor/Mentor Connection? If you operate a non-school volunteer-based tutoring/mentoring program, you are competing with schools and public education for funding. I keep getting told “we fund education reform and focus on teachers and leadership.” Yet, I keep reading articles that say that chronically low-performing schools may not change without an equal emphasis on social and emotional support, or without increasing the social capital in the community around the schools. I believe volunteer-based tutor/mentor programs can be meeting places for youth, volunteers and non-school learning. Here are a few articles I read that support my thinking. Bring your own ideas of why and how tutor/mentor programs impact the lives of at-risk youth and of how we can expand business and philanthropic funding of volunteer-based organizations that build these conditions for student success. This map was created almost 10 years ago and it represents a vision I've had for many years. The signatures on the map are of eleven high profile athletes like Carlton Fisk (White Sox), George Foster (Cincinnati Reds) and Otis Wilson (Chicago Bears). 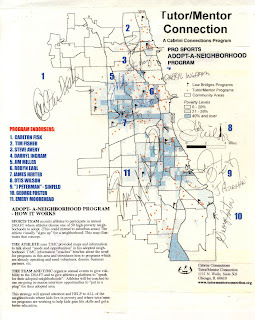 The map was circulated at a celebrity golf benefit and athletes were asked to "adopt neighborhoods" by putting their signature on specific community areas in Chicago. The idea was that when a reporter puts a microphone in front of an athlete after a game, or practice, the athlete would learn to talk about the way he/she was supporting tutor/mentor programs in the adopted neighborhood. Think of how often this might deflect questions from a bad game, to a different topic! If enough athletes and other celebrities adopt this concept, their collective voices become advertising that draws volunteers and donors to tutor/mentor programs in under served neighborhoods. Such a strategy could duplicate in other cities, and include recording stars, business leaders, clergy, and many others who want to help kids succeed in school, stay safe in non-school hours, and be starting 21st century jobs and careers once they finish formal education. This never became an operating strategy, but it has remained the model of a leadership strategy the Tutor/Mentor Connection seeks to develop. It shows that athletes, celebrities and business leaders can adopt neighborhoods, and use their media visibility, blogs and personal communications to draw attention to the tutor/mentor programs in those areas. This T/MC essay/pdf illustrates the role of athletes as leaders. On Friday Nov. 21 during the Tutor/Mentor Conference at the Chicago Field Museum, a panel of athletes and business leaders will talk about ways any athlete in Chicago or another city can adopt a neighborhood and use their visibility to mobilize volunteers and donors to support the tutor/mentor programs in that area. I encourage athletes of all sorts to attend and embrace this idea. It's critically important in a time of economic crisis, and as we head for the year end holidays. However, it is really important as we help President Obama achieve the lofty goals he has set for his Presidency. If you'd like to take a role in making this "adopt a neighborhood" idea a reality, join us at the conference, or call 312-492-9614 to get involved. I responded to this question this week: "I am looking for examples where making a small behavioral change can have a large impact on a problem." I received this via an email list from a Social Marketing Consultant in North Carolina. These links go to two parts of a single organization started by myself and six other volunteers in the fall of 1992. It's an example of how small actions, repeated over a long period, can grow. http://mappingforjustice.blogspot.com . We began to create maps in 1993 when a librarian at the United Way of Chicago asked me how I was going to show the locations of tutor/mentor programs in Chicago that I was collecting via the first T/MC survey. I said I did not know and she showed me a Geography magazine, where maps were used to show information. I took that inspiration and have found a variety of volunteers and a few donors, and have been making maps ever since. This is the small action of one person, and one organization. 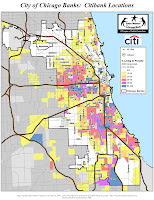 However, as you look at the maps, you can see that if other individuals begin to use them, it can result in a more consistent flow of dollars, volunteers and programs into all of the high poverty areas of a city like Chicago. This lowers the costs of acquiring these resources, reduces the emotional burnout of fund raising, and helps programs keep key leaders longer, thus building human capital and experience. This leads to better results. I write about this in this blog and encourage others to do the same. The small action of one person writing about this, and lead his/her friends to take a role. Depending on who your friends are, and who their friends are, this can lead to big actions and tipping points. If people begin to use maps like this all over the world, we begin to create a bridge that connects "people who can help" with more of the places where help is consistently needed, and we show a role of the middle man, or the small-action person, who takes the time every day, or every so often, to point his friends to the map, with an encouragement to "do something", even if it seems just like a small action. Now that the election is over it's time to do some creative thinking so that HOPE becomes REALITY for millions of kids and families living in high poverty neighborhoods of big cities. We need strategies that bridge the gap between rich and poor. 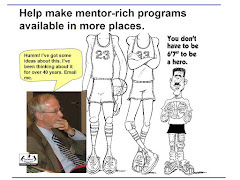 I think tutor/mentor programs should be part of such a strategy because of the personal connection that is created when an adult becomes a one-on-one tutor/mentor to a youth. Here's an outline of that thinking. If you agree, then why not join with me in brainstorming ways to help constantly improving tutor/mentor programs become available to more k-12 kids in more high poverty neighborhoods. 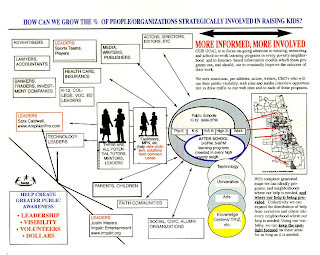 Why not take the role shown on the chart above to draw people together to learn more about tutoring/mentoring and ways to make great programs available in every high poverty neighborhood. One of the biggest challenges to such a strategy, is lack of funds for general operations of such programs. I know from my own leadership of Cabrini Connections, that this is the most significant challenge I face every day. Second is finding talented, dedicated staff and volunteers who will make long-term commitments to being part of such programs. Third is sustaining programs for many years, so that relationships can form, and volunteers and business partners can influence student aspirations and career choices. I feel such obstacles can be overcome if businesses look at tutor/mentor programs as part of their own human capital development. We know that volunteers who engage in non profit service have many benefits, and so do the companies who encourage volunteerism. If we can help more kids from poor neighborhoods move to jobs and careers, we diversify the workforce, and help find new workers to replace retirees who will be leaving the workforce over the next 15 years. I use maps to help businesses, churches, hospitals, and universities do their planning. 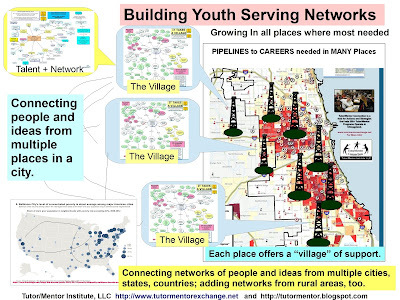 You can see many examples on this blog, and in the Mapping For Justice blog, also hosted by the Tutor/Mentor Connection. Today, I'm showing how some of the major banks in Chicago might build "adopt a neighborhood" strategies, supporting the growth of tutor/mentor programs in neighborhoods where they have branch banks, and recruiting volunteers who travel to and from work via the major expressways, as volunteers, leaders and donors. Chase Bank Chase branches are throughout the city, but there is a strong concentration along the Kennedy, and stretching through the North side of the city. You can click on the map image and see an enlarged version. As you look at each map, our goal is that volunteer teams form, who lead an on-going learning and leadership process, using the branch bank as a meeting place, an advocate for local programs, and even a potential site where kids and volunteers can meet once a week during non-school hours. Bank of America While there a dozens of locations throughout the city, notice the concentration in the area between the Eisenhower and Stevenson Expressways, as well as the Northwest part of the city. If teams form at one, or more branches of a bank with many locations, each team may take a different role in supporting neighborhood tutor/mentor programs. If these teams connect and share ideas via the Internet, and company-organized events, they learn from each other and build relationships that help in the workplace, as well as in developing and sustaining tutor/mentor programs. Notice how branch banks are along the Kennedy Expressway, and near Ogden Avenue. MB Financial Branches in the North and Northwest part of the city could support tutor/mentor programs in this area, and help encourage volunteers from the suburbs who work at other businesses, to become part of tutor/mentor programs in areas where it has branch banks. MB Financial has been a sponsor of the annual Cabrini Connections Golf Benefit since 1995. I local businesses in a Chicago community area banded together, they could host workplace fund raising, and other benefits, that support the operations of tutor/mentor programs in areas where they do business, while also supporting the role the Tutor/Mentor Connection takes in creating these maps and encouraging networking and information sharing. Park National Branches in the West and South parts of the city could be meeting places for community and business partners working together to help create new tutor/mentor programs in under-served areas. Park National has also been a sponsor of the Cabrini Connections golf benefit. It's branch in Roseland is near Salem Baptist Church which is led by State Senator James Meeks. That branch of Park National Bank could be a catalyst in the Roseland/Pullman area, for the growth of tutor/mentor programs. Citibank Locations throughout the city, with branches in areas where there is a need for more volunteer-based tutor/mentor programs. CharterOne CharterOne's locations in the Southwest and South part of Chicago could help increase the number of tutor/mentor programs in this area, working with churches and other banks in this area. These maps will constantly change as each business adds or deletes branches, but we hope they also change as businesses take a lead in investing time, talent and dollars to help support the growth of volunteer-based tutor/mentor programs. 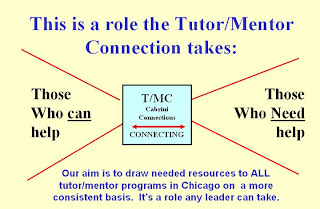 If you'd like to work with the Tutor/Mentor Connection to help develop a strategy for your business, church, college, please contact us, or send a representative to the next Tutor/Mentor Conference, which will be held at the Chicago Field Museum on Nov. 21, 2008. What to do with $300 million donation. After the election of Barack Obama, perhaps the next biggest news in the Hyde Park neighborhood of Chicago, was a $300 million donation to the University Chicago by a wealthy alum. I saw this story in Thursday's Chicago SunTimes. Then a couple of pages later I read about a judge being mugged and robbed a few blocks from where the Obamas live. If you're not aware, Hyde Park is the home of the University of Chicago and the University of Chicago Hospital. It's also an area surrounded by many neighborhoods of highly segregated poverty. I've been using maps to show where poverty and poor schools are in Chicago, as well as to show where incidents of violence are taking place. In one map I show locations of hospitals and in another I show universities. You can see one of these stories here. On Friday I attended a workshop that talked about the Asset Based Community Development program at Northwestern University - . This is a community organizing process that focuses on the assets in a neighborhood, rather than the deficits. Thus, while the Tutor/Mentor Connection (T/MC)'s poverty maps point out deficits, or problems that need to be solved, the maps showing churches, hospitals, universities and businesses, show assets in the same community, or region, who could be working together to solve complex problems facing the community. I read in today's Chicago Tribune Business Section that now that the University has the donation, "the hard part" is to figure out how to use that $300 million donation. Not for me. I'd use it to tap the assets of the University of Chicago, the University of Chicago Hospital and the surrounding businesses and churches and community-based organizations to build a world class network of non-school youth and career development organizations in the high poverty areas within two miles around Hyde Park and these institutions. I'd enlist Michelle Obama to be my chairperson, not just because she is the new President's wife, but because she has been an executive of the University of Chicago Hospital and she is raising her kids in this neighborhood. She does not want them, or anyone else, to be a future victim of a mugging caused by someone who may have grown up in the high poverty areas around Hyde Park. She's also an alumni of Public Allies, so has a history of service and organizing. When she goes to Washington, DC, she will learn that the Capital is also surrounded by neighborhoods of high poverty and that many people working in government have been victims of similar muggings and acts of violence. Thus, a solution out of Hyde Park, can be a solution applied in DC and other cities, too. Many people say this is an education and a social service problem. I say it's a business and marketing problem. It's a problem that affects all Americans. Until we fill the neighborhoods on the T/MC poverty maps with a wider range of learning supports, too few kids will have the tools to become future Barack Obamas. Many people expect government to solve this problem. I think leadership needs to come from the private sector, perhaps with a little government help and leadership. When I listen to Obama's call for sacrifice and service, I think he might have the same ideas in mind. The community needs to be organized. The University is part of the community. opportunities for kids living in neighborhoods with more people modeling poverty and negative careers, than modeling a degree from the University of Chicago or any other university. Every CEO who leads a company knows what it takes to build a great 'store' and develop products and services that draw customers. 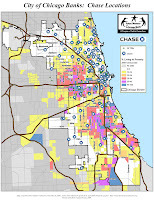 If you look at the maps we're creating, we show locations of businesses, churches and hospitals in the Chicago region, in addition to locations of nearly 200 volunteer based organizations that offer various forms of tutoring and or mentoring. On the business maps you'll see that some of these companies have stores, or offices, throughout the region. I'm sure these were put in locations where the companies feel they have potential customers. While having a store in the right place, with merchandise needed by customers is important, these companies also know they need to spend millions of dollars to advertise regularly so they attract and keep customers. Furthermore, they need to constantly upgrade their offerings as customers habits change and new competition enters the market. I've heard social workers and teachers say that these are not skills being taught in the social service or education departments at most universities. They are being taught in the business schools. As kids enter tutor/mentor programs in elementary schools they have one set of needs. As they grow older they have other needs and peer and community pressures are the competition keeping many from staying in school and moving to jobs and careers. To compete with gangs and negative aspirations the "stores" or tutor/mentor programs in an area need to offer activities and services that are more compelling. That's a simple enough concept. Making it work is much more difficult. The top businesses in the world rely on constant research and learning to make sure they keep their companies competitive and leading their industry. These habits are taught by universities. Why not make the task of building a world class youth development system a practical learning project for the students who go through the business school at the university over the next 8 years? Why not engage the alumni and others who are now called to service by our new President and his wife? Why not create a Business School Connection, drawing upon the talent of business schools in every major city to not only help establish tutor/mentor programs, but to assure they have the resources needed to keep kids and volunteers connected. I fully believe that if the University of Chicago, or another university with a similar windfall donation from an alumni, were to apply some of this $300 million to a private sector business-development initiative with these goals, their work would attract the attention of people from around the world, and it would soon be duplicated by other universities who are surrounded by poverty and seek a more diversified student body and alumni base. This is how I'd spend the money. In fact, it's how I'm spending the donations I have been receiving for the past 15 years. None of the gifts I have received have been larger than $60,000, but, if you read other articles I've written, and follow the links on this blog, you'll see that we're already operating a tutor/mentor program called Cabrini Connections and working to help similar programs grow around the Hyde Park neighborhood and in other high poverty areas of the Chicago region. We'd like to be a resource or a partner to any university or hospital who wants to help more kids be the next Barack Obama and who have the alumni who can provide the dollars needed to do this work. We also would welcome any donor who would like to make a similar large scale investment in our own work. Around the country the education industry is a billion dollar industry, collecting fees from affluent families who can afford hourly rates of $60, $90 or higher, or from government programs like No Child Left Behind. Unfortunately many of these professional tutoring services do not reach kids in high poverty neighborhood, nor expand the network of adults beyond poverty who are helping kids build aspirations and careers. Thus, it's a pleasure to recognize and thank TutorMatch for donating 10% of their October revenue to the Tutor/Mentor Connection. Imagine if Sylvan Learning Centers, Huntington Learning Centers and other huge tutoring businesses were making the same pledge, and directing those dollars to tutor/mentor programs in high poverty neighborhoods of cities where they do business. Thank you TutorMatch for setting the example. On November 21, we'll be hosting the 30th Tutor/Mentor Leadership and Networking Conference since 1994. Our vision is to put President-Elect Barack Obam's call for service and sacrifice into action, by helping people become involved in volunteer-based tutoring/mentoring programs connecting inner city kids with lifelines to high school graduation, college, jobs and careers. 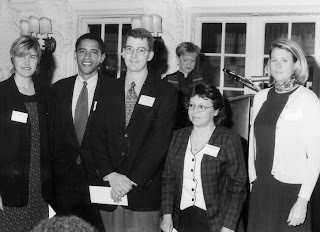 You can see from the photo, that President-elect Obama attended a previous conference in May 1999, where he presented best practice awards and Lend A Hand grants. We hope he or his wife will attend again in the future, and adopt the Tutor/Mentor Connection strategy in some of their own mobilization and leadership efforts. Nicole White is organizing the conference for the T/MC and is using her blog to profile some of the panels and the programs who will be participating. Yes We Can! Adopting map technology used in election coverage will help. I've posted messages here for several years, and thus you know of my passion for maps. For any of you who watched live election coverage on Fox or some of the other TV networks, did you see how interactive the maps were that they were using to provide information on the demographics and voting patterns of different states? I'm sure the technology behind this was a Geographic Information System (GIS) of some sort. What I want to inspire you to think of is how people from different cities and states, colleges and businesses, can share their own knowledge of GIS technology with a goal of making a system available to President Obama, and local citizen leaders, that anyone can use to mobilize resources, point them in the right direction, and sustain them for the next four to eight years, so that complex problems get regular attention and adequate resources, and that President Obama really does go down in history as one of our greatest leaders. My dream is that in spring 2009, and many times over the next eight years, I'll see a TV briefing hosted by President Obama, where he is showing the poverty map of the world, or of an American city, and zooming in on different countries, states, cities and neighborhoods, to show the gaps between rich and poor, and the places where volunteers need to give time, talent and dollars (lots of dollars) to close those gaps. At http://mappingforjustice.blogspot.com you can see some non-animated map reports. Imagine if these were presented using the types of technology shown on TV election coverage, and instead of a TV commentator, it was the President of the US, or the CEO of a Fortune 500/1000 company, or the leader of some other country. A GIS can map almost anything. Thus, it could map health issues, or environmental issues, or water issues. It could map the distribution of public money, showing the uneven or inconsistent flow of fuel for complex problem solving. That's been possible for a long time. What I hope will happen is that leaders use these maps to draw support from people, businesses, colleges and organizations who can help, to those places around the world, and in the USA, where help is needed. Such attention will identify organizations already operating in those places who seek reinforcements for work some of them have been doing for dozens of years, but with too little attention, and too few resources. If the President adopts this technology into his leadership it can be a big step toward making the hope of this election become more of a reality for the people who have invested so much time, talent and dollars to get to this first victory in what will be a long race. Until that happens, we'll continued to look for volunteers, donors and partners to build our own GIS to the level of interactive use that was demonstrated in the campaign coverage. If you'd like to help us, just call 312-492-9614 or email tutormentor2@earthlink.net. I've been watching about 2 hours of election coverage tonight and one thing that really excites me is the way interactive maps are being used to convey information. I've been watching Fox TV the most, but other channels are using maps, too. If you've been reading my blog for long, you know I love maps, and how they can convey information about a geographic region. Think of how the way maps are being used tonight might be used on a regular basis to draw attention to areas with poor schools, high drop out rates, not enough tutor/mentor programs or other supports that might help kids do better in school and prepare for 21st century jobs. In fact, imagine how high schools and colleges could be teaching kids how to create map presentations like you're seeing on TV tonight. That's a marketable skill. It could be taught in schools, or non-school technology centers. I am envious when I see this use of GIS. I don't have the resources to do this but would love to work with a TV station in Chicago, or any other city, to tell the story of poverty and leadership, using maps to mobilize resources and keep attention focused on issues that need regular attention for a long time. Maybe the new President is watching this coverage and thinking the same thing? I encourage you to read the article Chris Warren wrote about how tutor/mentor programs expand the social capital for kids in high poverty areas. Chris is a June 2008 graduate of Northwestern University, and is working this year with Cabrini Connections, Tutor/Mentor Connection as a Public Interest Fellow. He is connected to Cabrini Green teens and our volunteers because of Cabrini Connections. And using his networking and writing skills, he is connecting other people with our program and these teens. This is an active process that continues to grow larger, creating a universe of support where previously there was too little. For the past year I've been writing articles showing maps of Chicago which focus attention on all areas of high poverty and poor schools. These are places where tutor/mentor programs are most needed. If you click maps, or visit the MappingforJustice blog, you can see articles explaining the uses and meanings of these maps. To find an archive of all of the maps we're creating visit the Map Gallery created by Jim Cory in Madison, Wisconsin. At this site you can also find interactive maps, which you can click to find information about programs in specific parts of the city .